Bananas are harvested green and then ripen naturally on their own. You can speed up the ripening process by placing the bananas in a brown paper or a plastic bag, depending on your needs. The packaging bananas are placed in creates its own atmosphere, affecting the ripeness, taste and color of the fruit. The different stages of a banana's ripeness are indicated by the skin changing from green to yellow to brown, which is considered overripe. Control your banana's ripeness by selecting the right kind of bag. Keep your green bananas in a sealed plastic bag if you want to eat them in one week. Sealed plastic bags act as a barrier to keep out oxygen and delay ripening. 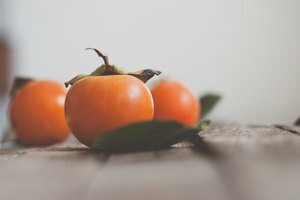 Ripening fruit draws in oxygen and gives off ethylene, a gas produced by ripening that also serves to enhance the ripening process. Without the oxygen, the chemical process of ripening cannot occur. This is why bananas are usually kept in plastic bags at the grocery store. 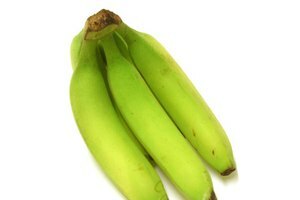 Put your green bananas in an unsealed plastic bag to ripen them at a moderate pace. These bananas are exposed to some oxygen, so the bananas can ripen. However, due to the limited supply of oxygen, the bananas take approximately five days to fully ripen. Ripen green bananas more quickly in a brown paper bag. Paper is a material that allows for oxygen to pass through but keeps in the ethylene, which enhances the ripening of the fruit. Bananas placed inside a brown bag ripen faster than those inside plastic bags. Wait roughly three or four days for the fruit to ripen. Ripen the green bananas even faster by adding an apple or an orange to the brown bag. These fruits give off ethylene, like the ripening bananas, which causes the bananas to ripen faster than when they are alone in the paper bag. Use this method if you need ripe bananas within one or two days. Leave your bananas out on the counter or in a fruit bowl to ripen in about six days. 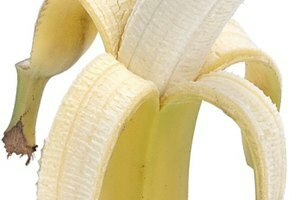 However, as the bananas ripen, the unlimited supply of oxygen causes the skin to turn from yellow to brown the fastest. By placing your bananas in a warm spot, they ripen faster. Store your ripe bananas in the refrigerator if you need to slow down the ripening process. Freeze bananas to store them for up to five months.